It is a well known fact that pilot training is expensive. This extraordinary dream is tied down to such a realistic issue as money. According to the current aviation market requirements, a person, in order to be even considered as a candidate for a job in any European airlines has to be in possession of an Airline Transport Pilot License and have a type rating, base training as well as line training certificates which all have to be paid out of the student’s pocket. Of course, after landing a job in an airline the training pays off in a short period of time, yet it does not come as a consolation when seeking for a dream. The truth has to be faced – it is such a money absorbing activity that sometimes becoming a pilot, unfortunately, remains nothing but just a life time obsession. The increasing demand for pilots has been lately reflected in Boeing statistics. According to data, about 465,000 new pilots will be needed worldwide between now and 2031. Due to rapidly expanding global economies airlines are delivered tens of thousands of new commercial jetliners each year. This has caused a sharp upturn in the demand for pilots and should probably change the money-related issues in the nearest future. Sounds promising but is it really so? Moreover, at the moment many changes are taking place in the countries, associations, regulations. Keep up with the information flow – there might be news which will open the door to a successful professional future. The main point at which these two attitudes collide is the widely known saying ‘time is money’. One of the key advantages of the ATPL Integrated is its length – the programme is structured in the way that a student can gain all the required knowledge and skills in two years or less. During the course students study very intensively, without any brakes. Although such a ‘fast track’ programme allows them to gain the ATPL (A) licenses quicker, it requires investing about twenty per cent more compared to a Modular programme. In the meantime, a Modular course, which may last up to 3 years or as long as a particular person needs, offers an opportunity to divide the program into modules. 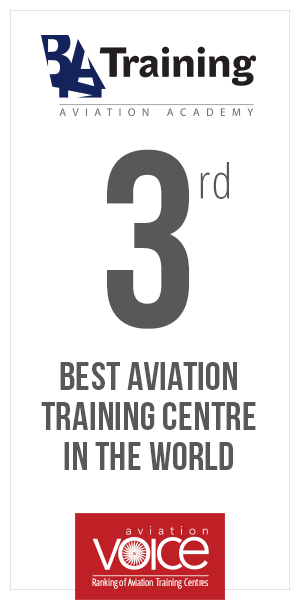 It is the best option for those who wish to combine work with the aviation studies. For instance, if a person has the money to pay for the Private Pilot License course only, after passing the license exam he can suspend his further studies for a period of time in order to raise additional funds needed for continuing the ATPL (A) theory and flight programme. The opportunity to get acquainted with aviation from ‘behind the scenes’ gives you an insightful view of the infrastructure and the entire system as well as teaches you about the requirements for people working in this sphere. ‘While I’m saving money for my first type rating, I have decided not to get too distant from the environment I see myself working in the future. For a year now I have been working with type rating instructors on the organizational level and I have gained valuable knowledge in market tendencies, learnt about most common mistakes among students and found out the best steps you have to take in order to achieve the goal,’ commented an ATPL license holder, who is currently working in one of the aviation companies and has chosen to remain anonymous. There are many obstacles to overcome on the way towards becoming a professional pilot, however, aviation is not economics or law – it is a remarkable profession for the same people.